Why would I need self storage in Phoenix, AZ? There are a variety of reasons why you might need self-storage in Phoenix, AZ. How much is a storage unit in Phoenix, AZ? The cheapest storage unit in Phoenix, AZ is $30.00 per month. What size storage units do you have available in Phoenix, AZ? In Phoenix, AZ we have sizes that range from 4'x4' to 12'x30' to suit your storage needs. How much is it for a 4'x4' storage unit in Phoenix, AZ? The cheapest 4'x4' storage unit in Phoenix, AZ is $37.00 per month. Phoenix is the capital of Arizona and one of the largest cities in the nation, having grown exponentially over the past several decades. 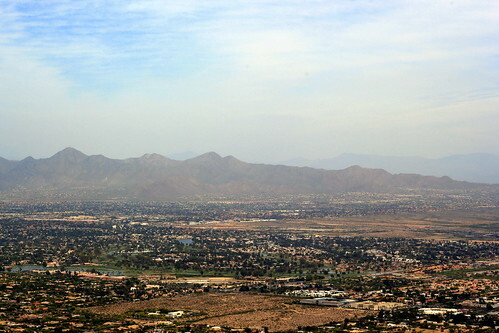 Nicknamed the "Valley of the Sun," the Phoenix metropolitan area is surrounded by many large mountains, including Camelback Mountain, South Mountain, Piestewa Peak and the Superstition Mountains. The Valley is a vibrant, interconnected network of suburbs and cities, with Phoenix at the heart of it all. Phoenix officially became a city in 1868, thanks to the vision of Jack Swilling, one of the city's founders. Swilling looked at the valley that is now Phoenix and saw the potential for rich farmland, out of the destructive reach of snow and frost. In order to make his dream a reality, he built a series of canals to bring water to the area, originally naming the town Swilling's Mill. The city was eventually renamed Phoenix, as a nod to the fact that it had risen from the ruins of an ancient civilization. Despite its location in a hot desert climate, Phoenix's agriculture industry flourished, and the pillars of the local economy were nicknamed the "Five C's": cattle, citrus, copper, cotton and climate. The arrival of the railroad made Phoenix an epicenter of trade, and after World War II, the city experienced a major boom in the high-tech industry. Many people relocate to Phoenix each year, attracted by the warm weather and strong economy. This has made the Phoenix-Mesa-Glendale metropolitan area one of the fastest-growing areas in the country. Phoenix has a diversified economy with plenty of employment opportunities in various industries. The headquarters of several major corporations, including Intel, GoDaddy and PetSmart, are located in the Phoenix metro area. The aerospace and electronics industries are especially strong, as are those in financial services and information technology. The city has a thriving arts and culture scene, with dozens of theaters and museums in the area. Music and theater lovers can attend a variety of performances at the historic Orpheum Theater, which was built in 1929. Phoenix is also home to the largest musical instrument collection in the world, housed at the Musical Instrument Museum. You'll find many unique architectural styles in the Phoenix area, as it's been the home for many major architects in their prime. Frank Lloyd Wright built his winter home in the city, a building that was eventually converted into a local architectural school. Before it was developed, the Arcadia area was home to acres of citrus groves and farmland. Today, it's a trendy neighborhood filled with renovated ranch homes, upscale shopping and a large number of unique restaurants. The Coronado District is a blend of historic homes and modern businesses, and it has attracted a large population of young, trendy professionals. Local organizations have put significant effort into preserving the area's historic buildings, transforming many of them into offices for small, local businesses. Consistently named one of the best neighborhoods in Arizona and the U.S., the Windsor Square area dates back to the early 1920s. Many of the original houses still stand, and the neighborhood hosts an annual home tour that offers the opportunity to view iconic examples of local architecture. The downtown area of Phoenix is the site of its main business and entertainment districts, with a mix of skyscrapers and historic buildings. Here, you'll find most of the state's professional sports stadiums, including the homes of MLB's Arizona Diamondbacks and the NBA's Phoenix Suns. Many different school districts, which manage hundreds of schools from elementary to high schools, serve Phoenix. You can also enroll your children in one of the many charter and private schools in the area, including faith-based, secular and traditional education options. If you're planning to attend college in Phoenix, you have several schools to choose from. Arizona State University has its main campus in Tempe, a suburb of Phoenix, and several other campuses in the area. Phoenix also has a large network of community colleges, where you can pursue a variety of two-year degrees. Utilities: The City of Phoenix manages water and sewer services, and the main electricity providers are the Salt River Project and Arizona Public Service. Garbage and Recycling: The city provides weekly curbside collection of trash, recyclables and bulk items. Transportation: The city and its suburbs are connected via bus and light rail, as well as a large network of major freeways. The median home price in Phoenix is in line with the national average, as is the overall cost of living. Phoenix has several nearby suburbs, including Glendale, Mesa, Chandler and Gilbert, which offer affordable homes away from the hustle and bustle of downtown. Pricier suburbs include Scottsdale and Paradise Valley. Our lowest priced units in Phoenix, AZ average $64.64 per month. 2390 people have reserved units in Phoenix, AZ in the past 30 days. There are 28 locations within Phoenix, AZ's city limits. There are 24 locations in Phoenix, AZ that offer AC and Heating features.